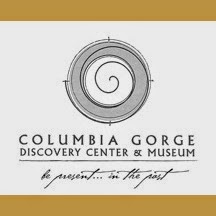 The Columbia Gorge Discovery Center Museum has received a major face-lift for their website and soon their membership cards and everything else that follows. The new look is a reflection of their historical association with Lewis and Clark, as stated in their about us web page "The area includes one of the oldest continuously occupied areas in North America (over 11,000 years), immediate proximity to one of the largest rivers on the continent, and access to the Lewis and Clark and Oregon Trails." This is a fun and beautiful new website for the Columbia Gorge Discovery Center & Museum, read more about this new website below.